Our qualified service technicians will provide thorough safety checks and inspections. Annual requirements, per OSHA and the National Fire Protection Association - Standard 86 requirements (NFPA86), will be completed in a timely and professional manner. Upon completion you will receive an easy to comprehend, detailed service report which outlines the results of our service. Evaluations are conducted to determine the condition of the equipment and determine which items may need to be replace and/or repaired. A detailed and easy to read report, with pictures, will indicate which parts and components on the equipment are in poor condition. PME's help to extend the life of your equipment. PME's also prevent un-timely and costly equipment shut-downs or equipment failures. 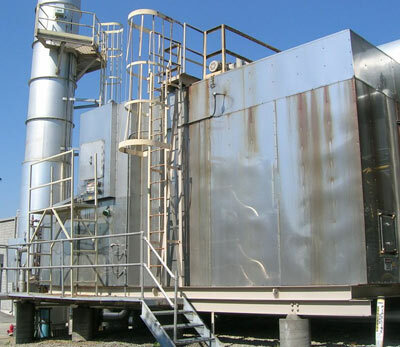 We perform service on all types of oxidizers. Involves the adjustment of air and gas mixtures for burner systems to operate efficiently and cost effectively. Educate the maintenance personnel on burner systems and their regularly scheduled requirements. Identify technically viable and cost effective energy projects that will reduce energy use and operating costs in your facility. We evaluate your energy-using equipment and identify ways to enhance its operating efficiency. We supply parts for all your burner system needs. We offer custom engineered equipment and installation.